Save SAR 120 (40.13%) – Earn 17 Shukrans What is Shukran? Shukran is the Landmark Group’s award-winning loyalty programme in the Middle East, which allows you to earn Shukrans when you shop any of our brands. 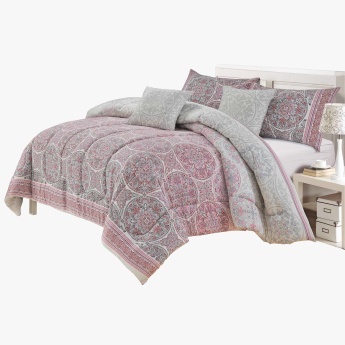 Grab this comforter set with a comforter, two pillow covers, and two cushion covers for a uniform look of the bedding in your room. This set comes with an attractive print and decent colour combination.